Final details on the Smell Good, Do Good perfume sale! Refuge, a British charity that provides safe houses and legal advocacy for women and children who have experienced domestic violence. A perfume sale to raise money for Refuge. Right here on Scents of Self! The sale will begin March 10, 2012, and will end whenever we run out of things to sell! Government funding for the domestic violence and sexual abuse sector of London was cut by 31% in this past year, resulting in a budget of only £5.4 million pounds for the entirety of London. Refuge is the largest domestic violence charity in the UK, but its annual income for 2011 was only £10 million pounds. Compare that with another British charity, The Donkey Sanctuary, which receives twice that amount each year. Lord knows I love donkeys, but let’s try to even this out a little bit. 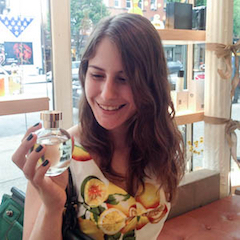 I want to support the Smell Good, Do Good perfume sale, because I am a wonderful and very attractive person. What can I do? Donate perfumes or other items to be sold! Promote this sale on your website, on Twitter, on Facebook, and to your friends! Feel free to use the banner at the top of this post. Buy the items being sold, thereby helping us to raise money for Refuge! I would like to donate some items to the Smell Good, Do Good sale, because I am a wonderful and very attractive person. How can I donate these items? To donate items, please email me at scentsofself@gmail.com with descriptions and pictures of the items you would like to donate. Perfumes are, of course, the meat and potatoes of this sale. Used perfumes, samples, and decants are acceptable and encouraged. However, please feel free to also donate non-perfume items that you think others might be interested. These include books, cosmetics, gift cards, other bath and body supplies, etc. I’m going to go ahead and draw the line at clothing, live animals, and Woody Allen movies. Beginning March 10th, I will post all available items and their prices. If you are interested in an item, please leave a comment informing me which items you would like to buy. Then, please go to the JustGiving page I have set up and leave a donation equalling the price of the item. Your donation will go directly to Refuge. Once you have done this, I will remove the item from the sale. Finally, please send an email with your mailing address to scentsofself@gmail.com, and I will forward it to the item’s seller. I have donated an item, because I am a wonderful and very attractive person. How will I get the item to its buyer? DO NOT SEND YOUR DONATIONS TO ME, Y’ALL. That is why I am asking you to send me pictures of the items instead. Once the buyer has paid for their purchase, they will email me with their mailing address, and I will forward this email to the seller. Sellers will send the item directly to the buyer, NOT TO ME. I will then reimburse the seller for their shipping costs using Paypal. What incentive do I have to participate in this sale? Unfortunately, these donations will not be tax-deductible (as most of us are not British citizens). However, I will be covering the shipping costs of and sending thank-you notes to everyone who donates an item! Thank you so much for your generosity, CPB! Hooray!! Thank you so much, Kathleen! Pingback: Donate and do good! How are prices set? By the seller, by you, or what? Ooh, good question! The prices are set by the seller and/or myself. This is a sale, not an auction, because auctions stress me out. Excellent! I am going to find things to pry out of my own hands and take photos this weekend. Well done you! Wonderful! Thank you so much for your generosity! Hi there! I am feeling clingy about my perfume collection as have a resolution to get to know what I have a little better so have just posted a donation to this great cause. Good luck with the sale. Pingback: Last chance to donate!